Since our Independence (1810), this takes place inside the houses of every community from the different cities, singing traditional songs. The ritual consists of a group of people requesting asylum while another group, inside a house, denies it, until they discover that Jesus, Mary and Joseph are the ones knocking their door. Then, the doors open and the celebration begins. 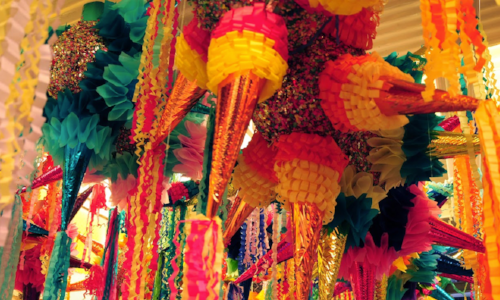 During the Posada, the landlords offer punch, canes, oranges or tangerines and a bag with candies and peanuts called 'collation', in addition to piñatas made of clay or cardboard, filled with candy or fruit. The final part of the Posada is a dinner with the guests during which, among other traditional dishes, tamales, donuts and punch are usually served. 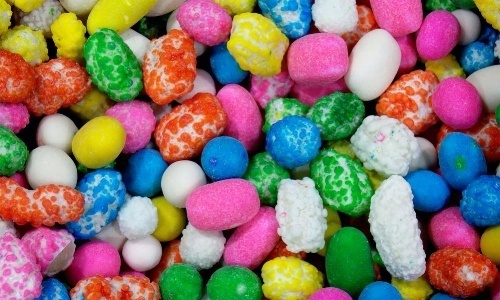 Finally, "aguinaldos" are distributed, which are small bags with sweets. 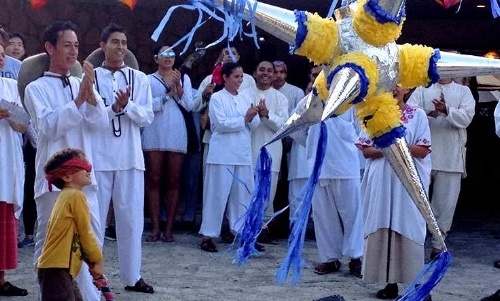 What is the best place to celebrate the Posadas? Each state has its way of celebrating these special days. In Mexico City and other places such as Cancun and the Yucatan Peninsula, a mixture of traditional and alternative activities take place. 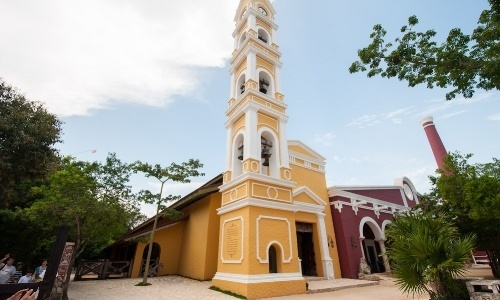 A place that is very popular on these dates, both with Mexicans and foreigners, is Xcaret, which is already famous for these types of events such as the Festival of Life and Death. 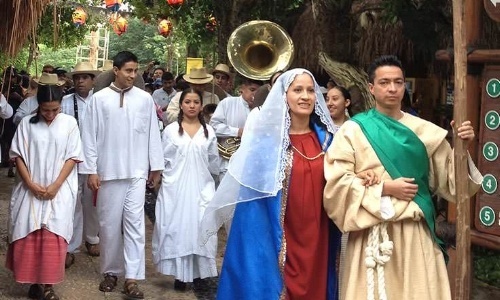 December gives rise to a mixture of tradition and party, with a pilgrimage, dance and music. The event is usually held at the Hacienda Henequenera within the park. When you arrive, you are received by the smell of exquisite typical cuisine of the region. Later, the ritual is performed with the litany and the pilgrimage. Each attendee receives a printed copy of the lyrics of the song. After eating, the traditional colorful piñatas arrive and each attendee has the opportunity to hit them, unless someone stronger breaks it before! If you do not know the Mexican tradition, this probably sounds strange to you. Its seven peaks symbolize the seven deadly sins and, by hitting it with such force, you are 'fighting' against them. The best part comes last: the dance. During the party, everyone shows off their best moves to the rhythm of eclectic and international music. There are raffles; if you want the chance to win tablets, LCD screens or even bicycles, this is for you. 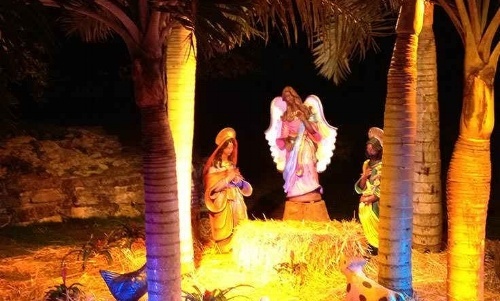 The Posadas in Xcaret take place from December 16 to 24, as is customary. If you are thinking of including this in your trip, we recommend you make the most of this beautiful and vast park. 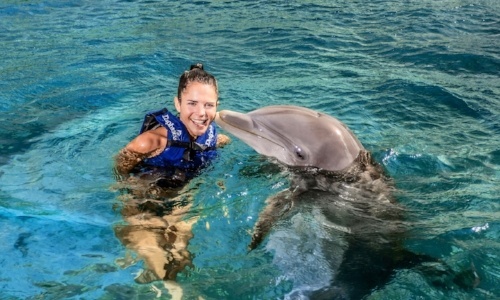 Plan at least two days of adventure to try out the different activities, such as swimming with dolphins. The Christmas posadas are a tradition full of joy and flavor. Celebrate the end of year with us with our all-inclusive packages at Xcaret. 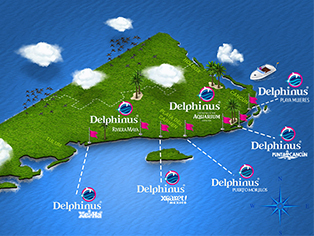 At Delphinus, we want you to experience an end of year full of magic.